Story and Events Unfold in Chronological Order. Entries are Presented in Reverse with Newer added at the top. especially where Presented in Several Parts. 15- Malassezia Little Treasures of … MisSpellinfs! 24-Malassezia Yeast, Morgellons, Demodex or Parasites? 62– Malassezia ~ Diet that made it Submit…Temporarily! 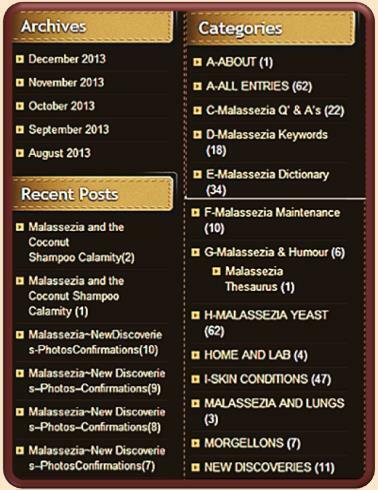 75- Malassezia Readers Keywords and … More … gellons! 80- Malassezia: Which? 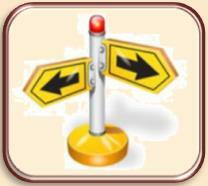 … Where?… and …The Invisible! 95– Malassezia – How and Why It Thrives! 99- Malassezia ~ Wine … Dine and …Burp! 100- Malassezia ~ Acidophilus – More Proof! 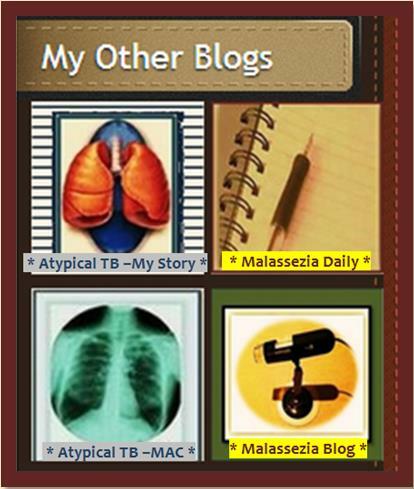 114- Malassezia ~ *Site – Topics – Info* ~ Your Say! 117-Malassezia Reader Communications – Please Read! 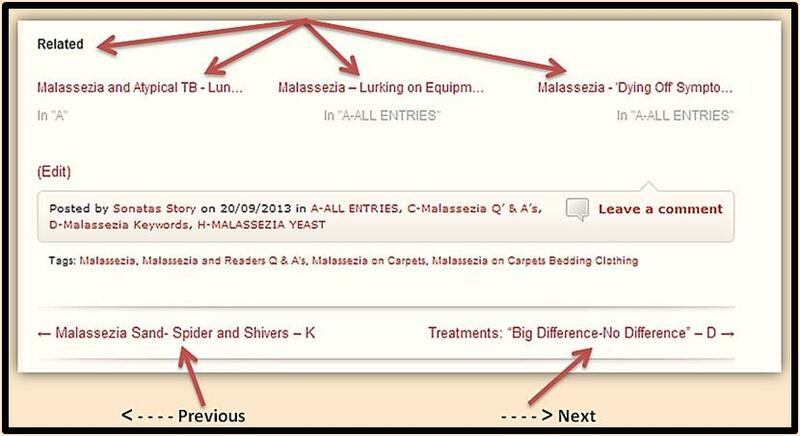 5- Malassezia ~ *Site – Topics – Info* ~ Your Say! 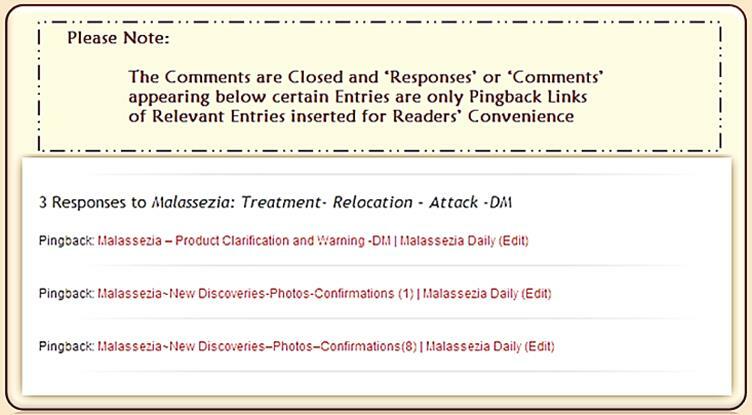 6- Malassezia Reader Communications – Please Read! The same Links appear at the Bottom of each page as well. picked by the software – while mine are provided Inside the Entries.